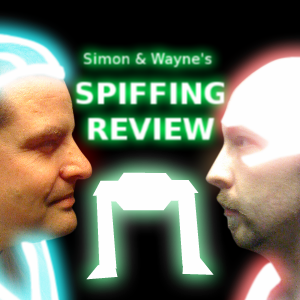 In this episode of Spiffing Review, Simon and Wayne have a look at the BBC Three series Being Human and also have a look at the 1980’s Disney movie Tron. There’s a bit of a Tronfest happening at Spiffing Towers with the recent unveiling of the Tron Legacy trailer, so we thought we’d have a look back at where it all began. Once again there’s another trip to the Trailer Park where we look at five recently released trailers: How to Train Your Dragon; Please Give; Touching Home; Dreamkiller and finally Zomblies.